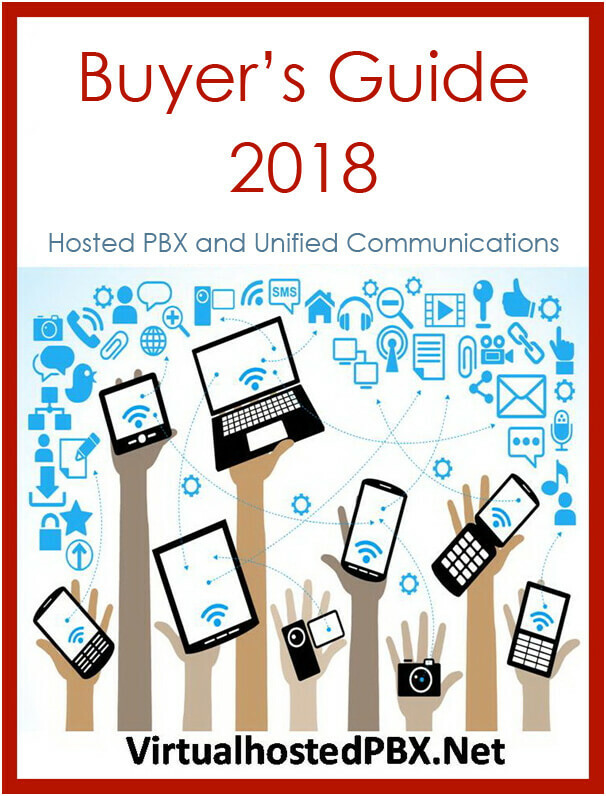 When a small medium business (SMB) first considers acquiring an IP telephony system one of the first things they must weigh up are the pros and cons of a, hosted Vs on-premises PBX solution. In this article, we will try to look at both options to evaluate which service is the best fit and for what type of SMB. On the surface, it seems a pretty straightforward choice. The IT department, if there is one, – if there isn’t then hosted is your only sane option – either recognizes its own technical abilities and embraces the challenge or it doesn’t and pushes to outsource the potential problem to an Internet Cloud Service. Communications is no longer just about the telephone – This is one of the major factors that have transformed the industry over the past two years. Previously, SMB communications was predominantly about providing a good telephone system based upon the traditional PBX system. That was what businesses required a good trustworthy and professional telephone service/system for answering and making telephone calls. However things have changed rapidly and now voice calls are in decline as more people favour other means of communications and businesses are being forced to adapt to their customers preferred contact method – be that voice, text, email, online chat or even video. Unified Communications has become the buzz word for the set of technologies that embrace all these different communication channels. Cloud service providers can support Unified Communications through their vast internet infrastructure and their in-house expertise. Unfortunately for the SMB wishing perhaps to run on on-premises IP PBX solution this elevation in technology has raised the bar well above most businesses technical capabilities. There will be precious few SMB’s that have the in-house expertise to support these multi-channel communication systems or have the infrastructure in place. Business and the world have gone mobile – Business today is about mobility, and that means been available to receive or return calls where-ever you may be. For this reason alone entrepreneurs and SMBs want their employees to be contactable via mobile phones or home landlines yet still be working on the company telephone system – i.e. be contacted through the business number and PBX. Mobility is one of cloud PBX’s great advantages as it is based on the internet, so employees can make or receive calls anywhere there is an internet connection and do it through the business number. This facility is just not feasible for SMBs using on-premises IP PBX. Features and Service Plans have vastly improved – This of course is a benefit for both on-premises and cloud hosted PBX. However, a few years ago this was the major complaint of customers that favoured the on-premises solutions as they felt they could upgrade features if and when required and at no extra cost. At the time that was a valid point, however today in 2017, cloud services typically provide all the features and functions that any small or medium sized enterprise could require. For example, voice/video conferencing and contact center functions are all included in the basic service plans. The drawback here is that some businesses feel that they are paying for features that they may never use. Reliability and Quality – another prime reason for keeping the telephone system on-premises was to make sure it was always available due to the fragile nature of the internet. By having the IP PBX in house it meant that the system would still be available via the PSTN should there be an internet issue. This was a valid point as even just a few years ago internet glitches and outages were common place. Whether that has changed significantly is debatable but public perception certainly has and cloud service is now the norm for most business applications so the trust is established. Costs – this can be a contentious issue as it is difficult to quantify generally as it is so dependent on the individual company’s requirements. Proponents for on-premises solutions will correctly warn about escalating costs with cloud services as charges are incurred on a per extension (seat) basis. Furthermore, calls can be cheaper with a cloud service provider as they have the power of bulk purchase of minutes through the large VoIP service providers however beware going over the allocated minute per month as that will almost always incur additional penalty charges. The big advantage for on-premises is that the business can add as many extensions as the system will support for free and can take responsibility for their own call usage. So, what are the problems that Technicians’ see with their current solution? Initially we will examine the technical problems faced by the SMB’s that outsourced their VoIP PBX solutions. The most common complaint by those who have outsourced their IP PBX system to a cloud provider is that during those they complain that upgrading system features always came at a per seat license fee which made upgrades very expensive. Their complaint, based on their technical knowledge that these high charges were for simply activating existing features in the underlying configuration, which begged the question why the additional monthly charges per seat. Another common complaint related to service and support. It would appear that companies hosting VoIP services have perhaps come to an understandable conclusion that those who have outsourced their VoIP PBX will somehow be uninterested or unknowledgeable of the underlying technologies and will simply open trouble tickets and accept any old reason or excuse for a drop in service. Hence, it seems they man their call centers accordingly. So, what of those brave or fool-hardly souls who kept the VoIP system on-premises. Well, it seems that a VoIP PBX is initially a labor of love; it is a long shallow learning curve to get up to speed and become comfortable with all the technology and protocols. During that learning period, most if not all wished they had gone for a hosted model. However, after a couple of years most were comfortable and were expanding and administering their system confidently. They were happy that their system was in their own hands, both from a technical support, and cost aspect. System expansion and upgrades to support new features usually meant little more than Asterisk configuration changes to activate features. These upgrades cost nothing but a few minutes time, and were for the same features that Hosted services were charging heavy monthly premium fees. They had also grown to find that providing technical support was nowhere near as stressful as it once seemed and there was an abundance of online support forums if they were stuck. It seems that for some small non-technical companies the hosted option should be the obvious approach. After all, if you do not have the time or inclination to learn non-core technical skills it would make much more sense to outsource the VoIP system. However outsource with your business plan in mind if you envisage business growth then make sure that the plan you sign up to will be flexible enough to cater for your needs. Remember a monthly fee per seat for ten people may seem very cheap. However, what about when the company grows to twenty, or fifty seats, is it cheap then? So consider growth, and the business plan, what about all those new features your rival now has on his PBX, what will it cost to upgrade fifty seats to get that feature set activated. For the SMB to benefit from Hosting it is all about calculating and estimating the total cost of ownership, it can get very expensive very quickly if you are not prepared. It might suddenly come as a shock to find that upgrading even to get some basic features will be cost prohibitive. This is the trap with the per seat contract you keep paying year after year, and it gets more expensive the more you grow. An SMB would initially be best advised to do a careful, honest evaluation of their own technical abilities or shortcomings. They must consider whether they do have the onsite staff capable of supporting on-premises IP-PBX. This evaluation is not what it seems, just because the SMB has whizz-kid IT staff that know Windows or MS Office like the back of their hand, doesn’t mean they will have the capabilities and skill sets to build, monitor and support a Linux based IP-PBX running Asterisk or one of its many variants. VoIP skills are rare when compared to mainstream IT desktop and Windows server support. IT support personnel will have to be more than just familiar with Linux but confident administering and supporting the Operating System. They will also need to have extensive knowledge of VoIP protocols such as SIP and RTP, with a good understanding of network protocols such as UDP when configuring firewalls. Previously all that was required was good plain old telephone system (POTS) knowledge and skills as these are handy when configuring T1 or E1 primary ISDN links to the PSTN. In fact having someone with at least some Primary ISDN trunk skills is almost a pre-requisite when attempting to get a fixed line Telephone Company to connect your VoIP PBX to a PSTN trunk. However the bar to entry has risen considerably how that unified communications and mobility are almost prerequisite for a new system. So bear in mind that if these skill-sets do not exist at present they will need to be learned or bought in.